I’m perplexed by our continued reverence of the 9 to 5 workday. Despite radical technological and social change over the past 100 years, we remain beholden to an industrial approach to work. Even though better options exist, a majority of us still battle rush hour traffic as we trek to and from office buildings at pre-determined times that have little to do with our actual ability to execute our jobs. Many have had their hands forced by the dynamic nature of global teams (aka you can’t watch everyone all the time when they aren’t right in front of you). Others realize the cost-savings that comes from reducing the size of/resources within their office spaces. Some use it as an added perk to recognize/motivate employee performance. Some are taking advantage of global talent pools without the traditional costs/challenges of relocation. Still, less see the real value remote work can provide to the employee and how it can enhance their productivity – on their own terms. While I’ve always had a desk in an office somewhere, I’ve grown increasingly accustomed to virtual work. My teams have become more and more virtual over the past 10 years, spreading across both the domestic US and around the world. Even though most of us have been housed in traditional offices, we still have had to master remote working strategies to ensure meaningful connections and collaboration. I always enjoy going into the office to work alongside peers and immerse myself in the organization’s culture. At the same time, I highly value the flexibility to do my job in the best way I see fit, and that often includes finding the space where I feel most productive given the time and task. Yes, a myriad of bloggers have already shared their tips for working from home. Just Google it, and you’ll find plenty of practical advise. That said, here are the 4 practices (and 12 tips) I have found most useful in my remote work. I’m not one for curling up on the couch with my laptop and getting work done in front of the TV. I need a dedicated work space to keep me on task and systematically eliminate potential distractions. Most often, this is my home office – an extra bedroom that contains only my desk, related supplies, a printer (which I was recommended into researching hp printer drivers to help fix my old hp printer)and decor suitable for webcam meetings. If I’m travelling, I snag an open desk in the client’s office or inhabit a section of my hotel room. Layer in white noise. Offices are noisy. Phones ring. People chat. Printers print. When you’re working from home, extended silence can be deafening. Replace the white noise of the workplace by playing light music (without lyrics) in your home office. Or, open the window to introduce a subtle, natural background. It’s not just about the work. It’s also about creating real, meaningful connections with your peers through remote work. Traditional workplace communication methods, like telephones and email, don’t support this depth of interpersonal communication. While virtual project meetings can help a little, most time is dedicated to the work and not the people involved. If you are primarily a virtual worker, you must implement additional strategies to build and maintain relationships that are easier to foster when you are sitting right next to your teammates. Go visual. Like I said, phones just don’t cut it, and conference calls are HORRIFIC. 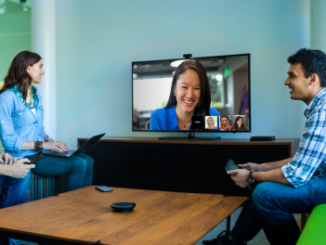 Restore some of the context provided by in-person meetings by using webcams and applications that enable real-time, on-screen collaboration. I’ve always been a fan of Google Hangouts for simple but productive virtual work meetings. Maintain an open channel . Pop-ins and stop-bys don’t exist in the virtual working world. Enable these quick collaborative moments by keeping a communication channel open with your team throughout the day, at least when you aren’t head-down on a task. Rather than rely on 1-to-1 instant messaging, which can be intrusive, consider more flexible group chat tools like HipChat or Slack. This way, multiple team members can engage in real-time or review past conversation and chime in when they have a chance. Schedule extra time. It takes dedicated time to build connections. Ask your team members if they are OK with a few extra, quick gatherings now and then. Schedule recurring appointments for both group and 1-on-1 sessions, and use the time to talk about anything and everything EXCEPT the work – similar to the convos that usually take place over lunch or when going out at the end of the day. Working in an office typically requires physical movement. Wander down the hall for a meeting. Head downstairs for lunch in the cafeteria. At least walk between your car to your desk – twice. When working from home – with everything you need within reach – its easy to find yourself sitting at your desk for most of the day. Not only is this unhealthy, but it can also be detrimental to your productivity. Go to lunch. Yes, its cheaper to take advantage of your home kitchen. Even if you do prepare your own lunch, do it before you start your day – as you would if you worked in the office. Then, at lunch time, eat away from your desk. Preferably, get away from your space altogether and eat outside or in a community area. You can also schedule a quick lunch meeting at a local restaurant with friends or teammates now and then to add movement and scenery to the day. Take a walk. Speaking of movement, schedule time to stand up and move around. I’m a fan of standing desks, but even that’s not enough. Take a walk around your neighborhood. Schedule your daily run for the early afternoon rather than after work. Realize the cognitive benefits of physical exercise. Sit in a (slow) restaurant (with wifi). If I don’t expect to do any talking for a portion of my day, I sometimes head to a restaurant with wifi for a change of scenery. Showing up during the mid-afternoon ensures the place won’t be too busy/distracting while providing background noise similar to an office. Shifting from my bigger work setup to just my laptop can also help me focus on a single task for a longer period. When I’m at home, I miss the office context clues that would tell me to stop working. I don’t notice everyone else getting ready to leave. No one stops by to say “goodnight.” If I don’t have a view, I may not notice the sun going down – turning my home office into the Las Vegas of virtual employment. This is even more challenging when you’re part of a team that spans timezones, meaning there’s almost always someone pushing information into your workflow. Yes, there’s always work to be done, but its counterproductive to just keep working until you run out of steam. Moderation is essential to avoid burning out over the long-term. Set an alarm. Think about the bell at the end of the school day. Set an alarm to remind you that your regularly-scheduled day is over. No, you don’t have to stop working, especially if you’re up against a deadline. However, you can at least take a moment to consider your progress for the day and determine how to best use your time moving forward. Share your schedule. Make your standard work hours visible within your organization. Use a shared calendar, social network profile, or instant message status. This will help level expectations regarding your response time, especially if you work with people in different timezones. Be sure to update this information regularly. Close communication channels. Shut down Slack. Turn off IM. Step away from the email (which really shouldn’t be open all day anyway). If people know they can get to you, they’ll expect a response. If you can’t turn an application off entirely, set your status to AWAY and avoid responding outside your standard hours unless unique circumstances dictate otherwise. What about you? Are you a remote worker? Do you split your time between an office and other spaces? What tricks do you use to take advantage of virtual work?